We are the leading manufacturers and exporter of Customized Weighing Systems and our product is made of good quality. 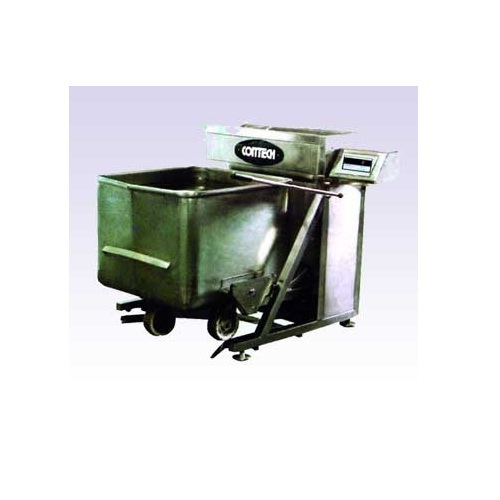 Our offered weighing system is provided in several specifications according to the demand of customers. Design and development of customized weighing requirement. Automation of weighing and material handling. Incorporation of customized software for better tracking and productivity. Wireless remote weighing, in case of a requirement. "Contech Instruments Limited", started its operation in the year 1992 and known for purpose of manufacturing, supplying and exporting the best quality of Electronic Balances. We offer wide range of products such as Laboratory Balances, Moisture Balances and Jewellery Balances. Available with us in various sizes and specifications, the offered measurement scales are known for their accurate results, easy operation, low maintenance and longer serving life. Our clients can avail this range of industrial & laboratory scales and allied measuring instruments at cost effective prices. We are exporting in Gulf Country, South East Asia and African Country. Our state-of-the-art infrastructure is well-equipped with latest machinery and equipment required for carrying out standardized production. Spread over a wide area of land, our infrastructure is carefully divided into different units such as manufacturing, warehousing and in-house quality unit. The offered industrial scales are manufactured in compliance with the industry laid norms and regulations, by using advanced machinery and equipment installed at our ultra-modern infrastructure.